The company also announced one bonus shares for every three held. 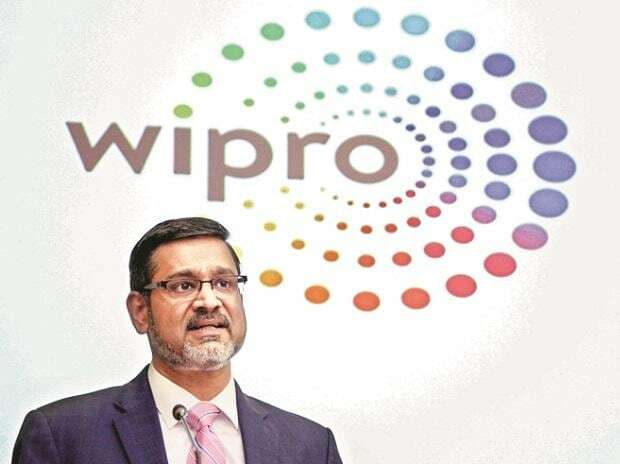 IT services firm Wipro on Friday reported a 30 per cent YoY jump in its net profit at Rs 2,510.4 crore for October-December quarter of FY19. The company had posted PAT of Rs 1,931 crore in the year-ago quarter. On sequential basis, the figures grew around 33 per cent. The company also announced one bonus shares for every three held. The company's board also declared an interim dividend of nearly Re 1 (US$ 0.01) per equity share and ADR (50% on an equity share of par value on 2). Earnings per share (EPS ) for the period came in at Rs 5.57 against Rs 4.03 in the year-ago quarter. Total revenue for the quarter grew 10.73 per cent to Rs 15,150.6 crore. Revenue from the IT services segment grew 13 per cent YoY to Rs 14,666 crore against Rs 12,978 crore reported in the year-ago period. It also announced that during the nine months ended December 31, 2018, the company has reduced its equity holding from 74 per cent to 11 per cent in Wipro Airport lT Services Limited. The loss/ gain on this transaction is insignificant.